Children are entering puberty younger than before, according to recent studies, raising concerns that childhood obesity and hormone-contaminated water supplies may be to blame. However, our archaeological research suggests that there's nothing to worry about. Children in medieval England entered puberty between ten and 12 years of age – the same as today. Puberty is divided into five clinical stages, with pre-puberty at stage one and onset (or thelarche) at stage two. Menarche (a girls first period) occurs at stage three. The age at which a child enters puberty (stage one) varies. Today, puberty onset occurs between the ages of ten and 14 in girls and 12 to 16 in boys, with some ethnic groups starting around a year earlier. The end of puberty, or full maturation, is reached by 13-17 years for girls, and 15-18 years for boys. Our understanding of the normal timing of puberty comes from historical sources and is measured using data for the age of menarche. A girl's first period is a significant milestone in her development, but it is a highly variable and environmentally fragile indicator of maturation. Today, menarche starts at a median age of 12.5 years in the UK, with 2-3% of girls experiencing menarche at ten. In England, just before the industrial revolution, historical sources suggest menarche occurred between 12-14 years. By the 1840s, girls had their first period between 14-17 years. While we have a rich record for ages of menarche, there are no written sources to tell us when children in the past first entered puberty. To understand the natural blueprint for the onset of puberty, we need to look further back in time, to the bodies of girls and boys growing up before the industrial revolution and the nutritional challenges of the early 20th century. We need to look to medieval England. In our study of 994 medieval adolescents from medieval England, who died between 900-1550, we traced the stages of puberty by examining their canine teeth; the shape of their neck and wrist bones; and the fusion of their elbows, wrists, fingers and pelvises. Using these clues, we were able to work out the average age the children started puberty, reached their growth spurt, and reached full maturity. We were also able to work out when girls had their first period. The average age at which children entered puberty was the same as for most boys and girls today: between ten to 12 years. But medieval teenagers took longer to reach the later milestones, including menarche. The adolescent growth spurt that signals the most obvious external physical changes occurred between 11-16 years, and menarche at 12-16 years, with the average age at 15 years. In medieval London, some girls were as old as 17 before they had a period. And boys and girls did not complete their adolescent growth spurt until 17 or 18 years. For these teenagers, growing up in a rapidly expanding and overcrowded London, 26% had not completed puberty before they died at 25 years of age. The age at which modern and medieval children progressed through the pubertal stages after puberty onset was different. However, just as today, there was a wide age range of children within each stage, including the presence of some early maturers. Factors such as poverty, poor nutrition, alcohol consumption, air pollution, violence and neglect delay menarche as malnutrition and physical stress limit the body's ability to sustain a pregnancy. These severe environmental conditions were likely to have been experienced by all teenagers living and working in medieval England. Many children experienced strenuous physical labour and exposure to urban pollution. Others suffered from chronic diseases such a tuberculosis, leprosy and syphilis. But it was medieval London that provided the greatest challenges. Here menarche was not reached by girls until two years after their peers living in other urban areas. The picture from medieval England demonstrates the impact of poor environmental conditions on the tempo of puberty and the start of menarche. But despite these hardships, the more subtle changes signalling the onset of puberty remained the same, at around ten years. While data is more limited, evidence from Roman Britain and medieval Spain show the same age for the onset of puberty at ten to 12 years. As our health and nutrition has improved, the age at which boys and girls move through the stages of sexual maturation has begun to decline and there is evidence that this decline has now begun to stabilise. Our impression of what is the normal age for a child to reach each puberty milestone has been tainted by the use of data from children growing up in the challenging conditions of the last century, and an over reliance on the age of menarche, rather than the age at which children actually entered puberty, which appears to be unchanged. Once puberty has started, severe living conditions retard progression through puberty. Without these factors, children appear to be returning to a natural blueprint of maturation, moving through the stages without delay, rather than experiencing the changes of puberty at an unnaturally early age. In my opinion, the evidence for the supposition that more recent generations are transitioning puberty at an earlier age? Is due to an increase in better record-keeping, more available to statisticians. Think 'School Nurses' and the development of medical professions for pediatric care. That just a couple of hundred years ago, what evidence for events such as menstruation or seminal flow, was restricted by the lack of underwear. 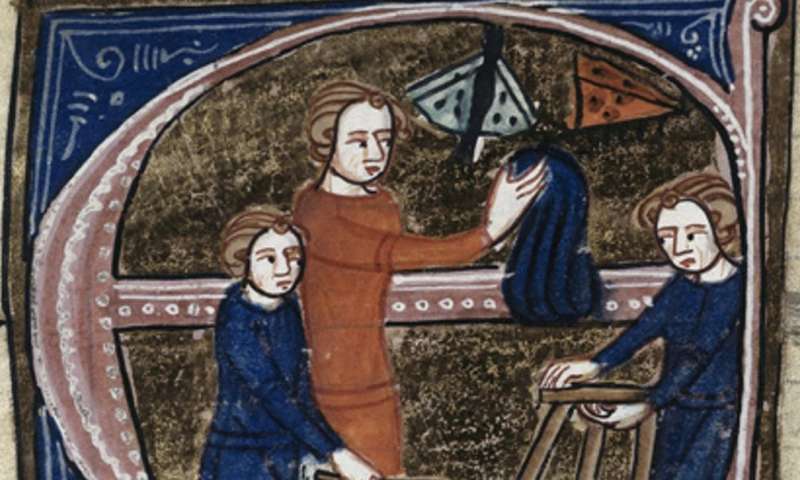 When clothing or bedding were soiled, illiterate servants would be doing the laundry. Maybe the mother was informed, probably not. Even so, no one would record the event. There was a culture of shame especially among the bourgeoisie. I suspect that this lack of written data swerved the curve for the statisticians assumptions. But then, since youre a posturing pissant who likes to pretend he knows stuff he doesnt, you really have no idea what youre talking about do you?